Closet capsules eliminate the “I have nothing to wear” syndrome so many of us struggle with as we stare at a closet full of clothes. Your capsules group items together based on the occasion. Rather than wade through all your pants, skirts, shirts and jackets, you can go straight to your “business capsule” and select your favorite outfit. As you build your capsules, capture and note each outfit’s relevant details using my printable Capsule Wardrobe Planning Worksheets – also known as Wardrobe Wisdom Capsule Planners. This closet capsule should be made up of items for casual, everyday wear. It holds the T-shirt and jeans you’d go grocery shopping in and the casual dress you’d wear for Saturday brunch. Your closet capsule for business should include your work attire, suits and business casual outfits. How formal your business capsule is depends on your style, industry and workplace. In your closet, group suits together so you can quickly select one. Then hang blouses and other items by color. Sweaters should be folded neatly on shelves to maintain their shape. The specific items you include and how you form your closet capsules is entirely up to you. The pieces included in your capsules should suit your lifestyle and personality. Have fun, coordinate and make the most of your current wardrobe. As for shoes and accessories, some people prefer to designate items for a particular closet capsule while others like to be able to wear their favorite pieces with any outfit. Review your shoe and jewelry collection before you decide which option is best for you. 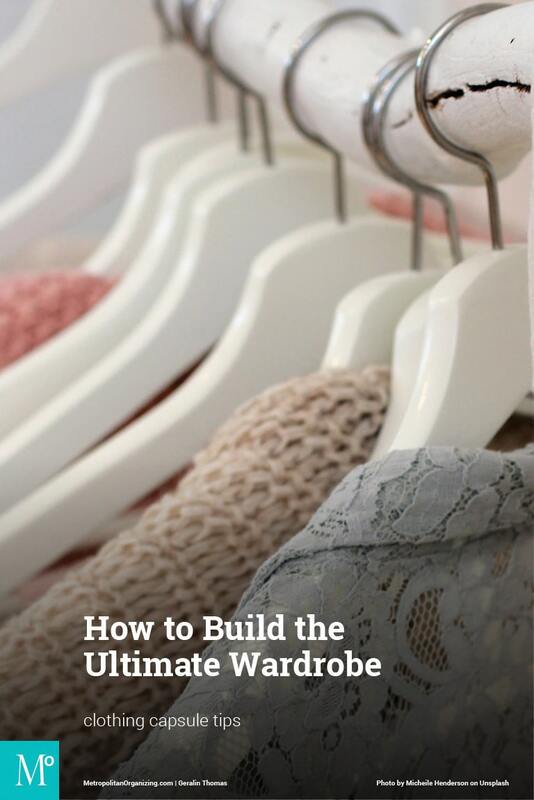 Check out these additional Wardrobe + Style articles.